A.M. Best, one of the oldest and most respected rating agencies, provides ratings of insurance companies based on their financial strength and claims-paying abilities. Primerica’s life companies — Primerica Life Insurance Company, National Benefit Life (our New York state affiliate) and Primerica Life Insurance Company of Canada are all rated A+ by A.M. Best. Only 15 percent of life insurance companies can make this claim. Wouldn’t you feel comfortable doing business with a company of this strength? Why go anywhere else? 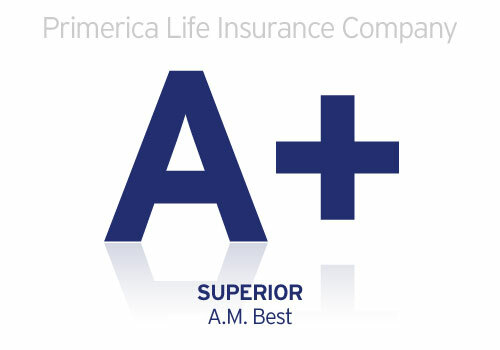 As of December 22, 2011, A.M. Best ratings range in order from the highest ratings as follows: A++, A+, A, A-, B++, B, B-, C++, C, C-, D, E, F.
Primerica Life Insurance Company, Executive Offices: Duluth, Georgia; National Benefit Life Insurance Company, Home Office: Long Island City, New York; Primerica Life Insurance Company of Canada, Head Office: Mississauga, Ontario.